We rode the Captain Ahab Trail for the first time as a family last spring when our kids were 10 and 13. It’s now one of the kids’ Moab favorites. This trail is long and strenuous for many who choose to give it a go. 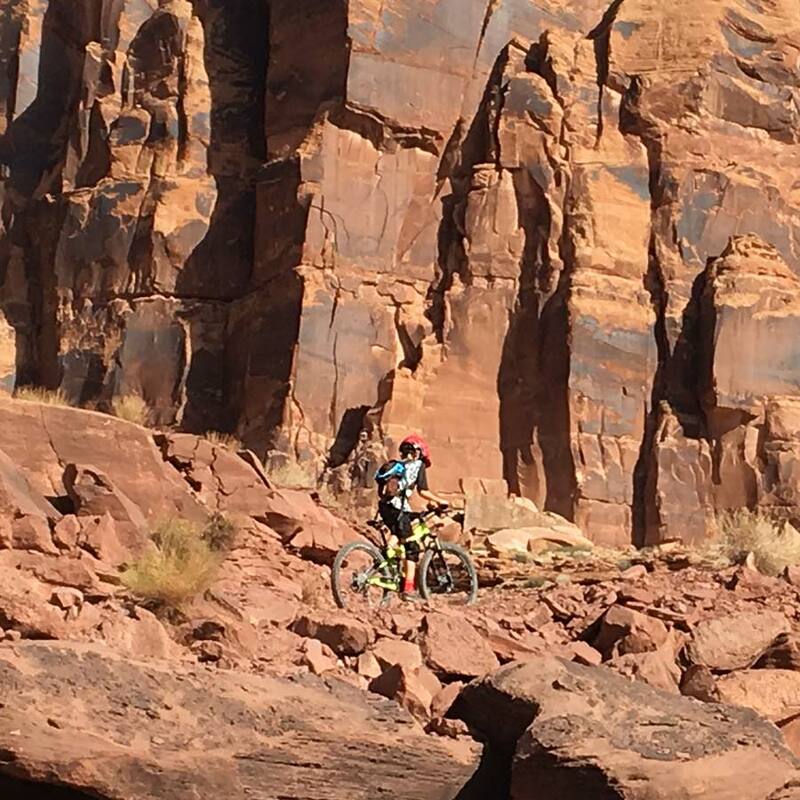 In addition to having the right mountain biking gear, be prepared with ample water and food. For young families it can be a long day of pedaling. There are steep, technical ascents/descents; cliff exposure and off-camber traverses. If you want to ride the Captain Ahab Trail with your kids, we strongly suggest having an adult from your clan with strong intermediate skills ride it first. Have fun – be safe. That’s always the mantra. Get to the Captain Ahab Trail via the Hymasa climb. Climbing on the Hymasa trail en route to the Captain Ahab trail. There are several technical descents along the way. 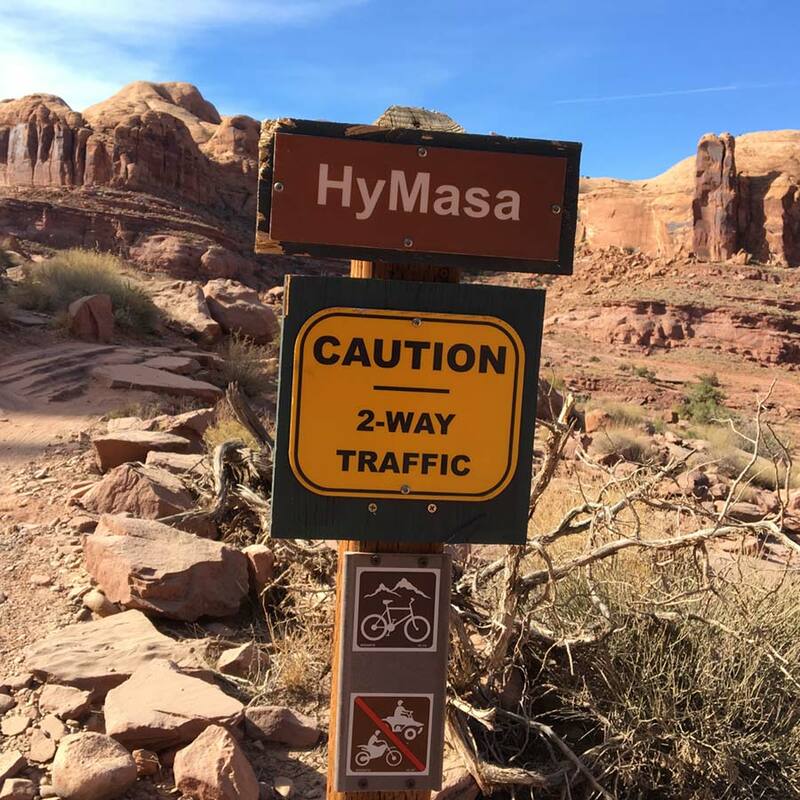 Access the Captain Ahab Trail by via the Hymasa trail. Pedaling up Hymasa can be a doozy. Just when you think you’ve reached the top and you can peek over the cliffs, you have about another 10 minutes of strenuous climbing. We usually regenerate with snacks and cold water before we start the first descent as you need to keep alert for all of the technical challenges this trail presents. After the initial drop-in, be prepared for an undulating canvas of sandstone. 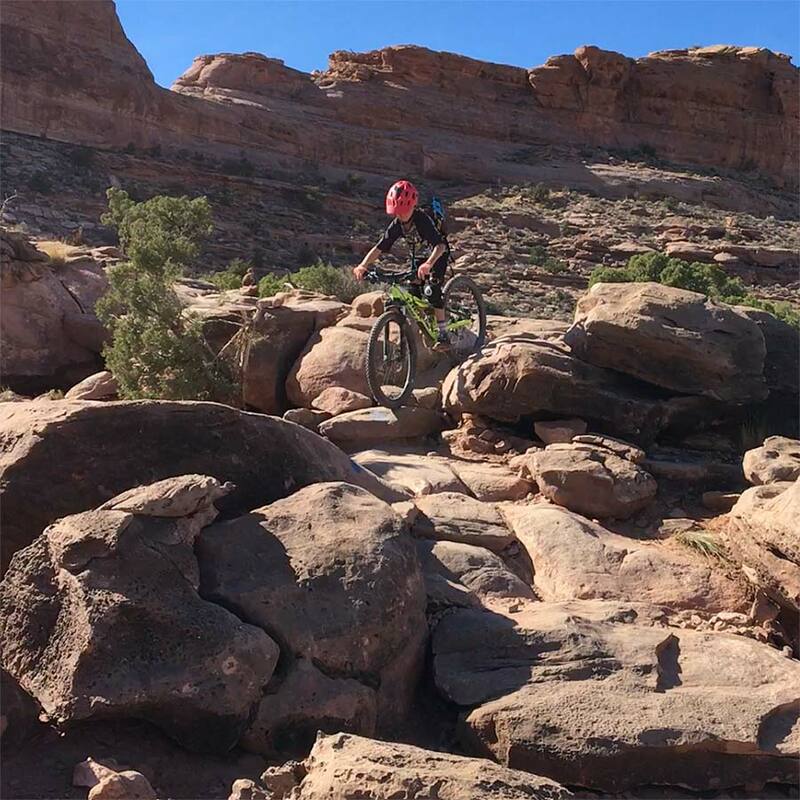 The vistas are nothing less than stunning and the mountain biking is world-class. The entire loop about 8 miles long. This ride can easily become one of the trails where both you and your kids measure your stamina and technical prowess over the years to come. From the south end of Moab, head towards the McDonald’s and zero out your vehicles’s trip meter. Turn right off of Main Street at the McDonald’s and head northwest on Kane Creek Blvd. Stay on Kane Creek Blvd as it curves left and runs parallel to the Colorado River. The paved road will turn to gravel after a bit. Continue on the gravel road. You’ll pass the Kings Bottom Campground; then pass the Kane Creek RV Park. About 5.4 miles from McDonald’s you will arrive at the Amasa Back parking lot on the right side of the road. The parking lot’s coordinates are 38.528501, -109.596631. Park here and pedal up the road for about another half mile. On your right, you will see the start of the Amasa Back trailhead. The Amasa Back trailhead is for motorized off-road vehicles. The sign is pictured above is the start of the Hymasa trail – your access point to the Captain Ahab trail.